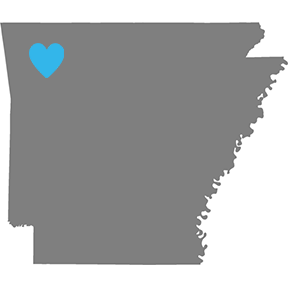 Twice selected as Arkansas’ Best Place to Raise Kids, Springdale offers great neighborhoods, schools, hospitals and more. Springdale’s metropolitan area ranks as one of the nation’s most affordable and safest areas to live with a cost of living well below the national average. Each year, Springdale ranks in the top five of Arkansas’ safest cities. • 24th best city in the country for new graduates to live and work, according to Good Call. • 45th best place to live in America, according to 24/7 Wall St.
• 6th fastest growing small city in the country (among cities with fewer than 100,000 residents) according to WalletHub. • 58th best place to live in America, according to Money Magazine. • 8th fastest growing small city in the country (among cities with fewer than 100,000 residents) according to WalletHub. • 23rd best overall economy, according to WalletHub. • 35th most diverse city in the country overall, and 18th most diverse among cities with fewer than 100,000 residents, according to WalletHub.